Another attraction of CLM is its singular multicultural and multilingual atmosphere. Foreign students can share their daily lives with those of Spanish students learning different foreign languages, thus stimulating a mutual interest in their different languages and cultures. Be immersed in Spanish language, culture, cuisine and tradition in a city renowned for its flamenco artists, guitar craftsmanship and Federico García Lorca. Witness the social interactions of the local, university, gypsy and immigrant communities in one lively plaza. Enjoy the dramatic contrasts between the old world and the new that will co-exist in your daily life, buying muffins from cloistered nuns at a 16th century convent and a coffee from the nearby fast food joint. Learn Spanish in an environment that will prepare you for future interactions with Spanish speakers from all over the world. Take college-level courses in Intensive Spanish Language, Spanish Language and Culture, or Hispanic Studies? Complete an internship** in a local business, educational institution or volunteering organization? 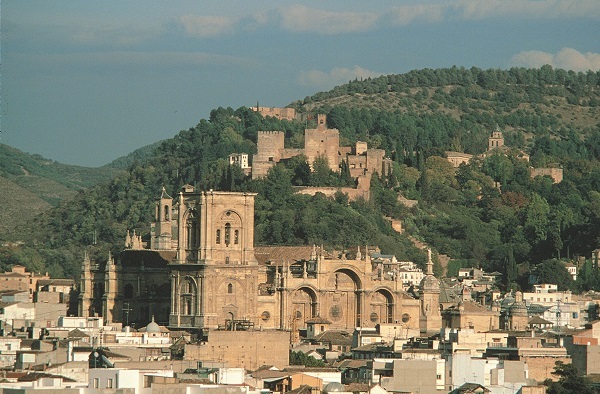 Enroll in classes with Spanish students at other Schools of the University of Granada? Participate in a diverse and dynamic university community of students and faculty from all of Spain and the world over? A minimun of five students at the same level of the language are required to run these classes.